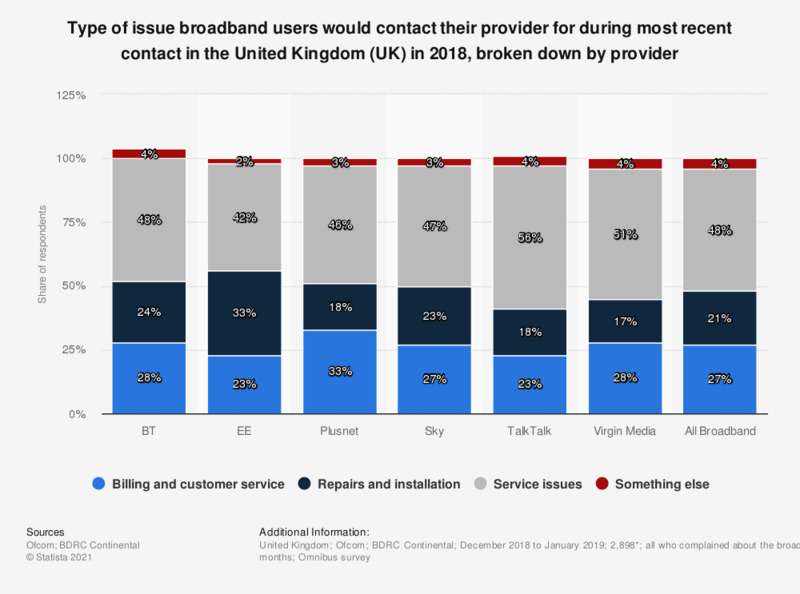 This statistic displays the type of issue for broadband users during their most recent contact with their service providers in the United Kingdom (UK) in 2017, broken down by provider. An overall 50 percent share of users had a complaint with regards to service issues across the industry. Which of the following options would make you change your internet provider?